Are you a lover of the English medieval times or the ingenious Spanish nobleman Don Quixotic classic? 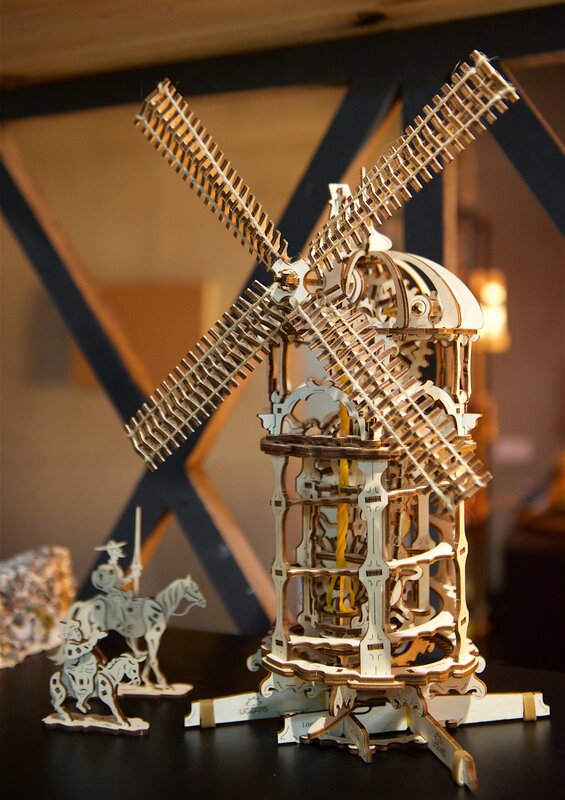 Then the UGears Tower Windmill is designed for you. 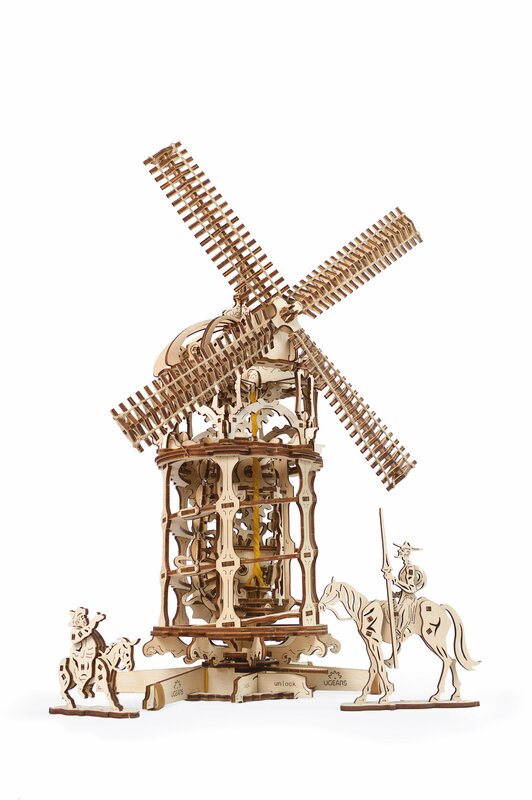 The Tower Windmill is a mechanical puzzle that brings you the combined history and adventure of both the old England and Spain classics. The Tower Windmill inspiration is taken from the 17th-century cylindrical stone tower windmill that was built around 1632-33 by a prominent figure of that period Sir Edward Peyton outside the village of Chesterton, Warwickshire county and was restored back between the year 1965 to 1974. 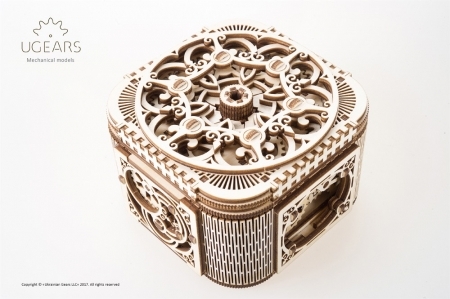 This UGears model designed in “Victorian steam-punk skeleton” style is based on the original prototype from Chesterton. When the tower windmill is spun rapidly, the aerodynamic twist sails create a fairly strong wind, and it also can work the other way around by blowing air directed at the sails to make the sails spin. 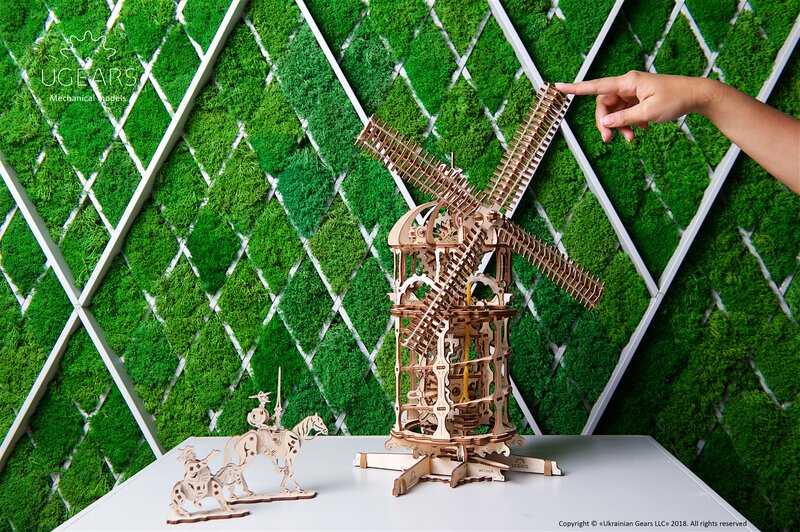 Use the Tower Windmill model to demonstrate to your kids how real windmills operate. A removable rubber band motor powers the model. 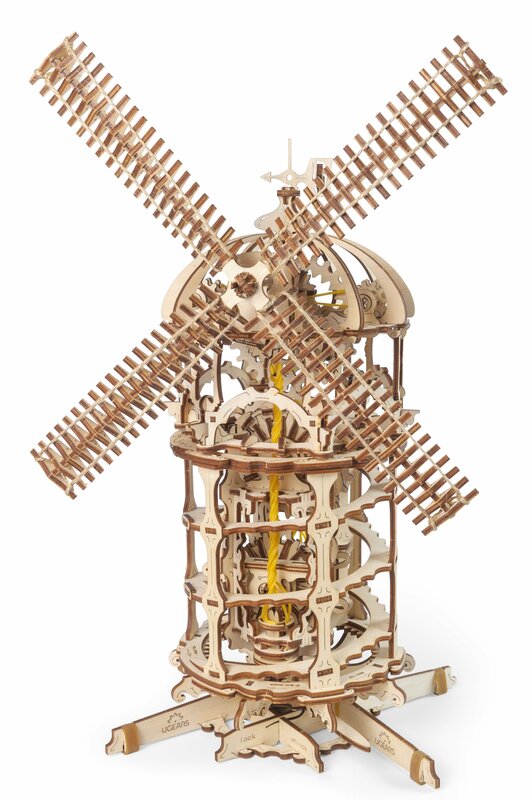 Once the motor is removed, the Windmill can work in a manual mode that allows you to observe and examine the fascinating, complex mechanism in detail. 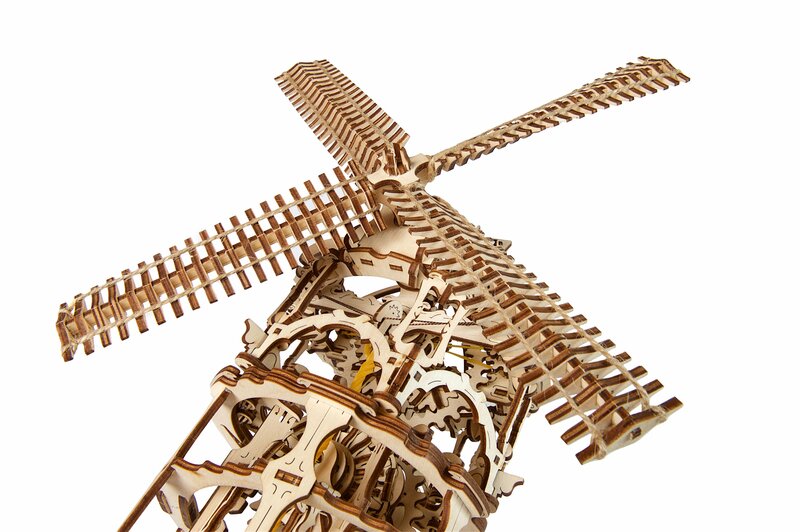 A double planetary gear reducer with differently shaped gears provides the necessary speed for the windmill to move. The sails are driven by a rubber band motor and a set of gear screw unto the conveyor. 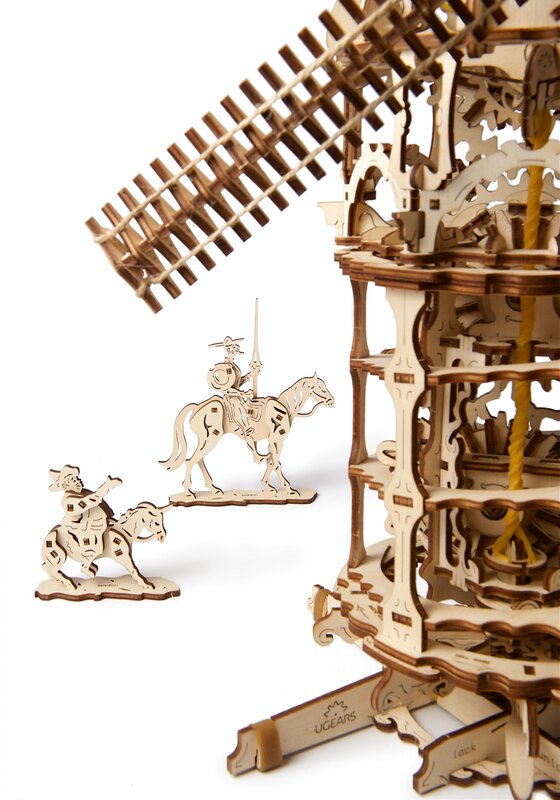 The UGears Tower Windmill model is made from sustainably high-quality grade wood and has everything you might need for the assembly. The quality of the parts is top-notch. 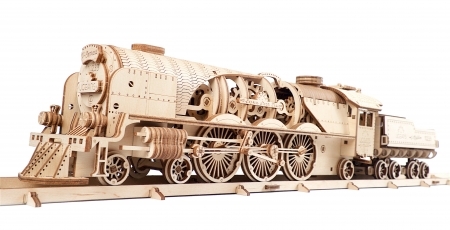 The parts are cut with laser precision which makes it a lot easier to put together. 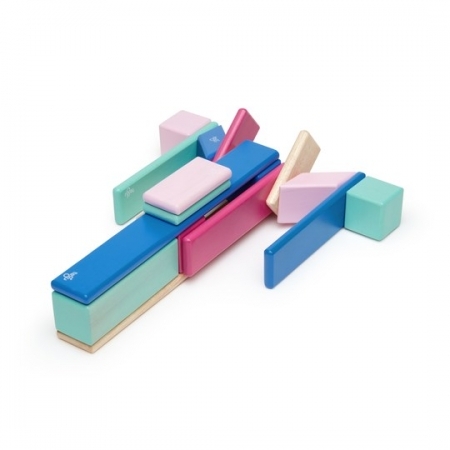 The kit comes with an easy to understand instructions for assembling. 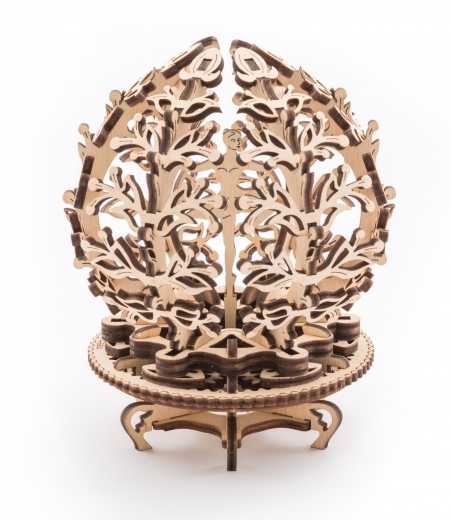 The assembling does not require glue or any special tools.